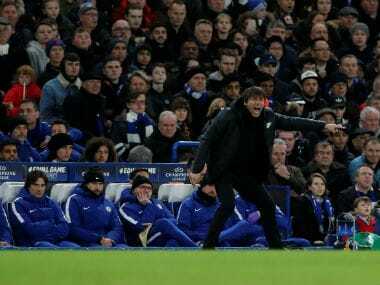 London: Chelsea manager Antonio Conte believes the English champions can do "something incredible" by knocking Barcelona out of the Champions League at the Camp Nou on 14 March, despite blowing a lead to draw the first leg of their last-16 tie 1-1. Willian gave reason to a bold team selection from Conte on Tuesday by putting the English champions ahead just after the hour mark, having also hit the woodwork twice before half-time. However, Barca pounced on a very rare Chelsea mistake on the night as Andres Iniesta intercepted a slack pass by Andreas Christensen and squared for Lionel Messi to slot home his first goal in nine appearances against Chelsea. "We must be realistic. We are talking about Barcelona. They show tonight to be a strong, fantastic team," said Conte. 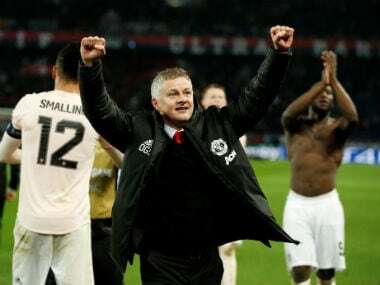 "We have showed that if we are ready to work very hard together defensively, but continue to have the right feeling when you win the ball when you have the chance to score, we can try to do something incredible at the Nou Camp." Conte named a front three without a recognised centre-forward with Willian and Pedro Rodriguez either side of Eden Hazard, while the 21-year-old Christensen started in place of club captain Gary Cahill. And Conte refused to pin the blame on the inexperienced Dane for conceding. "I think it was a great performance, an incredible performance," added Conte. "We're talking about a player he's only 21. It's great that he can play this game with this maturity. I am very happy. For me he was one of the best players tonight." Barcelona enjoyed nearly 70 percent of the possession, but lacked the penetration to open up Chelsea's well-organised defence. "At times it seemed like a handball match, because they sat back and waited," said Barca midfielder Ivan Rakitic. "It is difficult when they have eight players behind the ball." However, Conte defended his tactics, saying it would be "crazy" to approach facing Barcelona any other way. 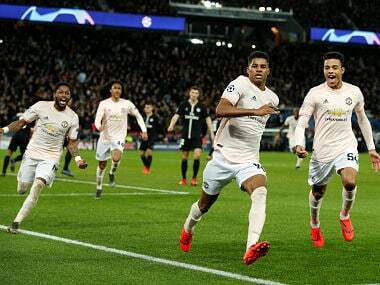 "When you play against Barcelona you know very well that if you want to face them box-to-box then you are crazy and you go to lose the game, not 1-0, (but) 4, 5, 6-0," said Conte. "You must play with intelligence, especially if you know that (Barca) level is up on us. You must play an intelligent game, we are not stupid." Chelsea's former Barca midfielder Cesc Fabregas, though, stressed the importance of going to Catalonia in three weeks' time with attacking intent rather than just trying to keep Barcelona at bay for as long as possible. "We have to go there to attack and score because 90 minutes defending at the Nou Camp is an eternity," said Fabregas, who played for Barca between 2011 and 2014. "It is a suicide mission." 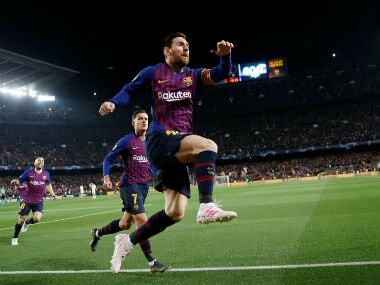 Messi's goal was the first a Barcelona player has scored in an away Champions League match for six games. And whilst Barca boss Ernesto Valverde welcomed the slight advantage gained from a sub-standard performance, he warned Chelsea possess the threat on the counter-attack to still land a knockout blow. "It is very important to have scored here and logically both teams will respect their own style in the second leg. They have the attacking resources to cause us problems. "It is important to have the advantage, but it is far from decided."